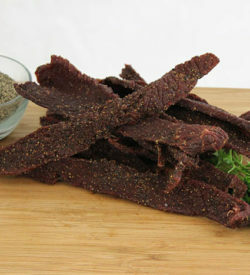 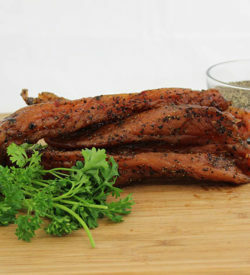 Junior’s makes venison, elk and bison jerky from farm raised animals. 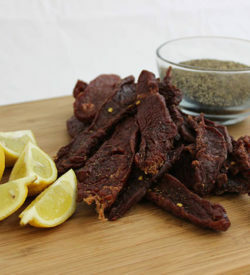 All three are offered with a light peppered seasoning which still allows the great taste of the exotic meat to come through. 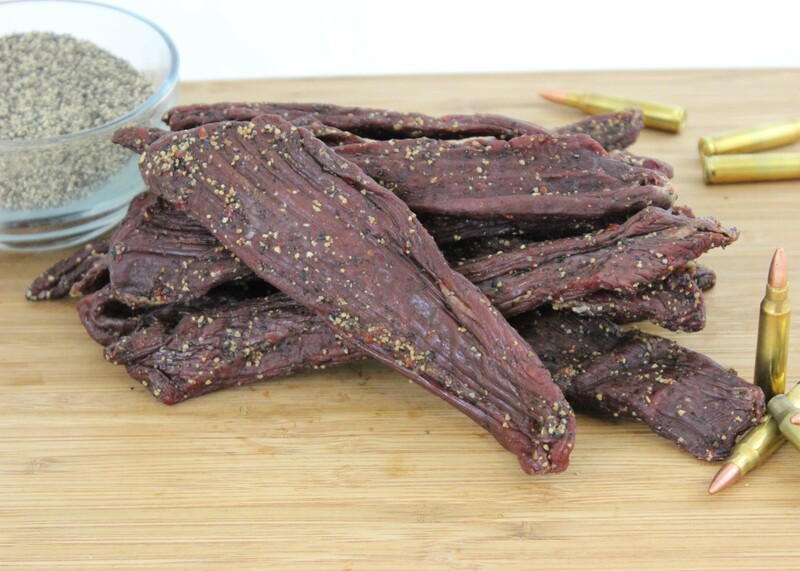 All jerky is packaged in 1/2 lb packages. 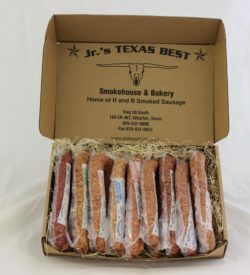 Order larger quantities and your price per pound goes down!